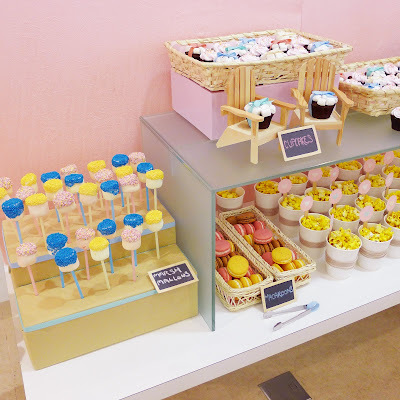 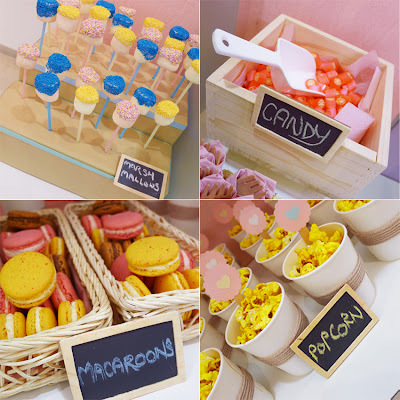 What an adorable Japanese Zakka shop inspired Dessert Table this was! 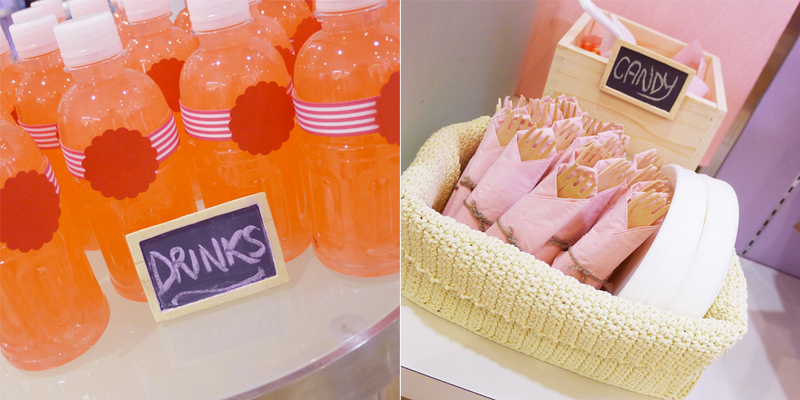 We were told to do a remake of a Zakka shop environment as the products sold were sundries imported from Japan. We adopted a pastel tone combines with light wood accents to bring forth the natural breezy feel of spring and quirky Japanese Zakka. 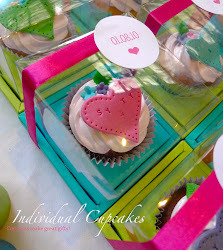 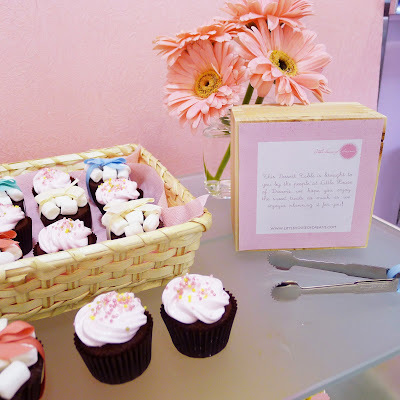 Wood baskets were used to contain the cupcakes and tiny wooden chairs accentuated the display. 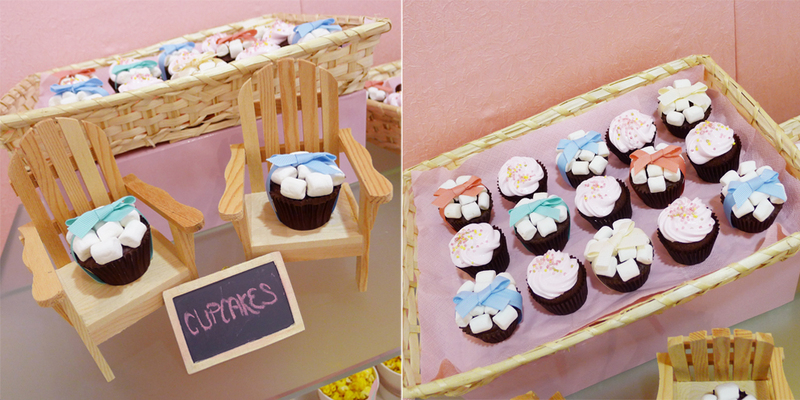 The other sweet treats were also displayed in wooden crates and baskets. Even the cutlery was wooden and we love it so much!